Renting a property doesn't just mean paying for a roof over your head - it comes with a certain amount of basic rights. You have the right to know who your landlord is (it should be on your contract), to see an Energy Performance Certificate for the property, and for appliances and furniture to have a gas safety certificate and be fire resistant. If your landlord doesn't provide this information within 21 days of requesting it, they are liable for a fine. There are also legal requirements for your tenancy agreement - if you're concerned about any clauses, you can challenge them. If your rented property is your only or principal home, you have the right to live there without being disturbed. Landlords cannot enter whenever they want, or allow others to do so. Anyone trying to do so is breaking harassment laws. According to The Landlord and Tenant Act 1985, landlords are required to maintain the structure of the property, including the roof, guttering, walls, windows and doors; plus the gas, electricity, water and heating supply. Tenants have responsibility for basic maintenance and cleanliness, for example, changing a fuse, unblocking the sink and changing lightbulbs. You will also have to pay for damage you, or your guests, cause. When you move into a property, you will agree the exact amount of rent and when it should be paid by. It's your responsibility to pay on time, and you will also be liable for all bills and council tax unless it is agreed otherwise when you move in. If you're a fixed-term tenant, the landlord can't increase the rent unless you agree to it. If you believe a rent increase is unreasonable, you can sometimes take the matter to a rent tribunal. Once a fixed term ends, however, landlords may apply a rent increase. 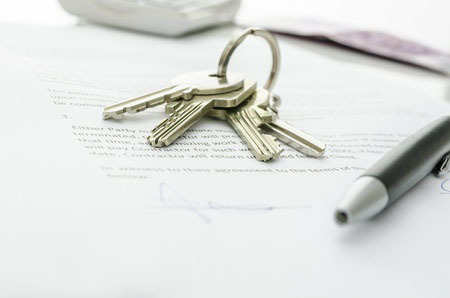 A tenancy can be ended at any time by mutual agreement with the landlord. Otherwise, renters may only leave a contract if it is month to month, if the contract contains a break clause, or if the landlord agrees that someone can take over your tenancy. You cannot simply abandon a property, the landlord will have the legal right to charge you until the end of your agreement. At the other end of the spectrum, a landlord cannot evict you without a court order. To obtain this, the landlord has to supply you with written notice (which can range from two weeks to two months), and you will be given the chance to explain to the court why you should not be evicted. Common causes for eviction are property redevelopment, repossession, and non-payment or delayed payment of rent. You can use our secure online finance software to track your accounts, and make sure you never miss a payment. All deposits for tenancies starting after 6 April 2007 must be protected by a government-backed tenancy deposit scheme. That's an independent fund which either holds or guarantees your money until both landlord and tenant are in agreement over how much (if any) is owed for repairs, cleaning or rent arrears after a tenancy ends.